With the ubiquity of GPS technology, getting lost is a thing of the past. What was once exotic military technology, can now be purchased for the price equivalent to a week’s worth of Starbucks coffee. Google now includes free GPS navigation for its smartphones and Apple’s iPhone app store is filled with hundreds of navigation applications. Even with the competition from cell phones, personal navigation devices (PND) from companies like TomTom and Garmin are here to stay. One of the biggest advantages smartphones have over PNDs is cost. Using a smartphone as a GPS costs a tremendous amount of money. Google may give the GPS software away gratis, but using it is far from free. Both the Motorola Droid and iPhone 3GS are $199.99 with a two-year contract which is double the price of an entry level PND. Verizon and AT&T also require a 30 dollar-a-month data package. The data package alone is $720 by the time the contract ends. Over a two-year period of time that is a lot of money. On the iPhone the cost of entry is even higher because you need to purchase navigation software. TomTom’s iPhone app is $99. You sure have to pay a lot of money to use that “free” GPS. Another added cost is the mounting hardware for smartphones so they can be used in cars. Almost every PND on the market comes with such a mount for free. Motorola charges $40 for its car mount kit. This is a ridiculous price for a piece of plastic and a car charger. That is more than 40 percent of the cost for an entry level dedicated GPS unit. At that price you might as well pay the extra 40-50 dollars and get a PND. Even if data plans prices drop and car mounting kits are free, there is one thing cell phones can never change and that is their form factor. The screen size on cell phones is too small compared to the average GPS unit. 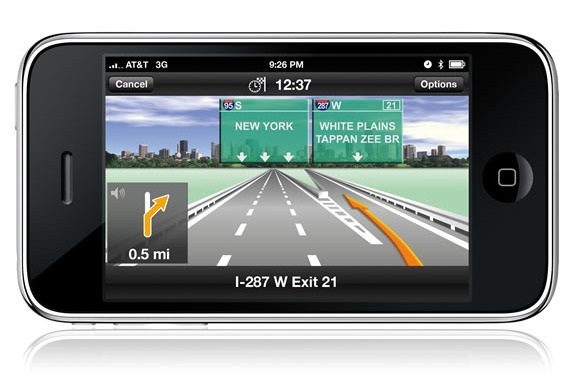 The largest of the Android phones with GPS navigation is 3.7 inches. While this is adequate for cell phone use, for navigation it’s very small. Even the cheapest GPS units on the market today feature 4.3-inch screens. Middle-of-the-road models feature seven-inch screens. Cell phone screen sizes are not going to get much larger because they still need to fit into your pocket. For people with less than great eyesight, a dedicated GPS unit with a large screen is the way to go. Trying to read a tiny screen on a sunny day is not such a great idea at 65 miles per hour. Cellphone’s are also not nearly as durable as some dedicated GPS units. Yes you can map out a jogging trip with the iPhone, but the first time you drop it you better hope the glass screen didn’t crack. Don’t worry it will only cost $499 to replace that phone out of contract. Let’s face it, the iPhone is just not as rugged as a GPS built for outdoor use. For activities like hiking, boating and motorcycle riding, a PND is the way to go. When Google announced they would include free GPS, Garmin and TomTom’s stock both plummeted, but both companies are recovering. 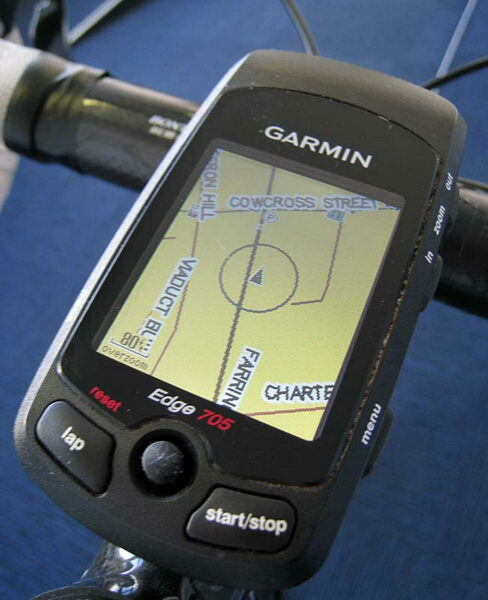 Both Garmin and TomTom are adapting to the changing market. Both have realized they need to offer more to survive in a market where phones can have GPS for free. TomTom is now offering free lifetime map updates on some of their newer models for example. Cellphones with integrated GPS are not going to kill-off dedicated GPS units anytime soon. Phones with GPS are the proverbial jack of all trades, but master of none. Smartphones are useful in a pinch to find your way when you are lost, but a dedicated PND is still better. For the time being, PNDs are easier to use in the car and are far more cost effective.